Beware, Pasadena! The Zombambies are Coming!! 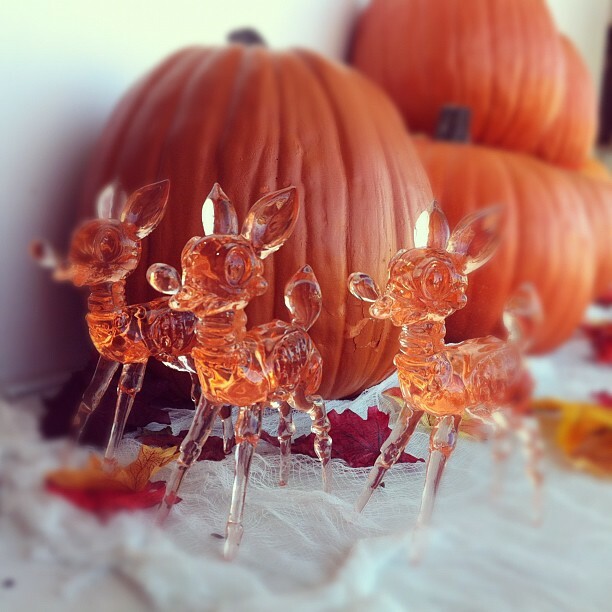 Not sure about you, but that’s a trio of zombie deer carved out of peach Jolly Ranchers if I ever saws ’em! New from Circus Posterus is the Sour Peach Zombambie, the first production run of the sculpt since its debut as small-run handpaints at Monsters & Misfits II and Le Carnaval des Spectres earlier this year. DesignerCon kicks off Nov. 3 for one day only at the Pasadena Convention Center in Pasadena, CA. It’s time to party, toy town!